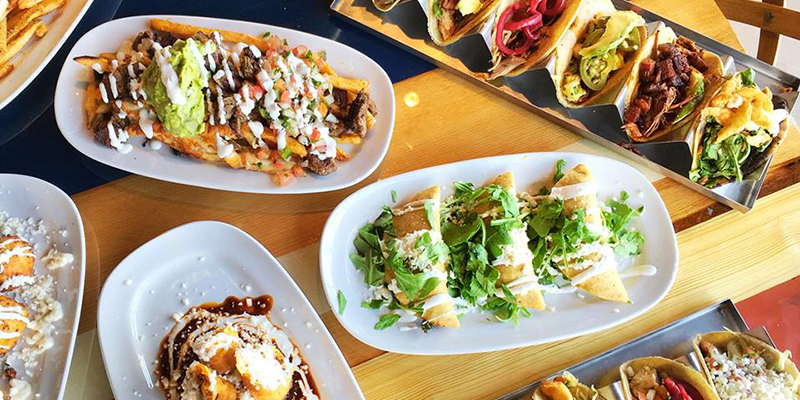 Heat-seekers will find no shortage of spicy food in Kansas City, from more approachable dishes that liven up your meal to outrageously hot sauces that knock your socks off no matter how many times you try them. Head to Parlor, the Crossroads Arts District’s resident food hall, to try Mother Clucker, a Nashville hot chicken concept with six different heat options. 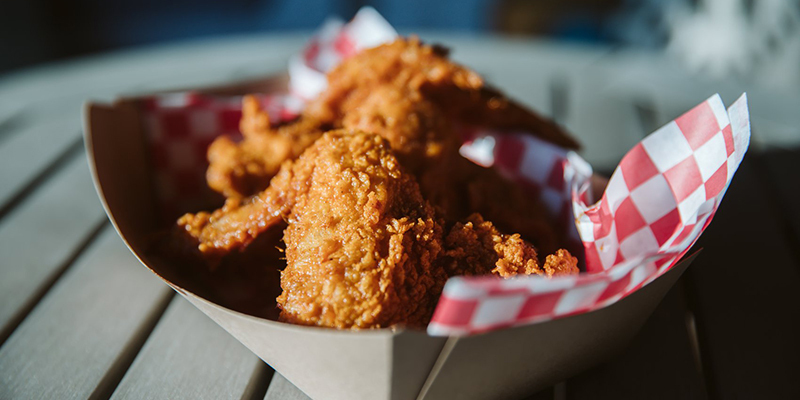 For true spice heads, order the quarter bird (breast and wing or leg and thigh) at the “What the Cluck” level—the pop-up’s hottest flavor. Port Fonda’s pozole verde, which includes green chile-marinated pork shoulder and spicy tomatillo broth, packs a mighty punch. The Westport hotspot also makes a mean mango habanero marg, in case you need a little extra spice in your life. The name says it all with this dish. Whether ordering the half (six pieces) or the full (12 pieces), beware: as the Grinders menu reads, “It will blow your mind and burn off a few taste buds.” If that kind of talk appeals to you, then these wings are a match made in heat heaven. Mesob expertly blends Ethiopian and Jamaican offerings for diners of discerning tastes. 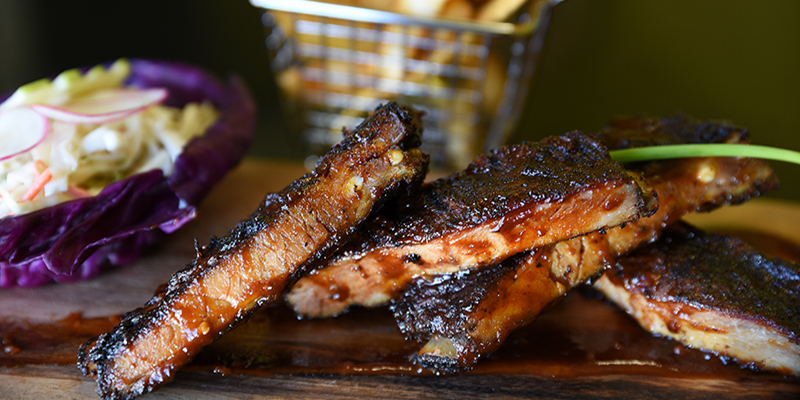 Try out the jerk short ribs, which come sauced with a homemade jerk rum sauce—which touts just the right amount of heat for lovers of Caribbean cuisine. Almost any dish at this Crossroads hub can be elevated with the “blazing” heat selection, but the blazing wok bowl at Lulu’s takes it to an even hotter level thanks to a spicy combination of jalapenos and red bell peppers prepared with wide rice noodles and other tasty ingredients. 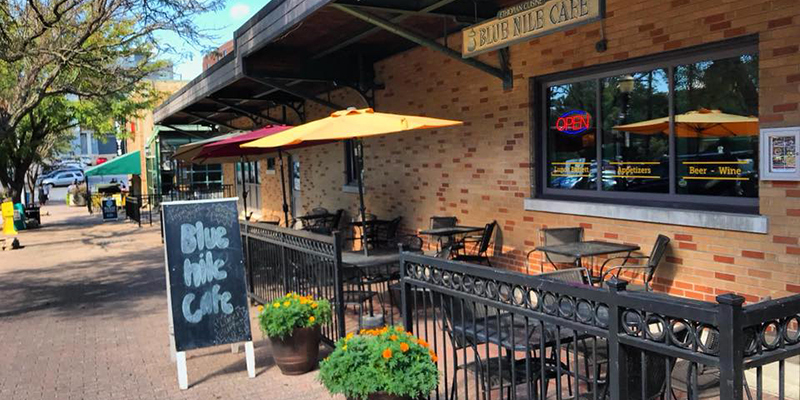 Ethiopian favorite Blue Nile Café offers traditional dishes such as the yesiga tibs, which features strips of beef sautéed in kibbeh and tossed with veggies like onions, peppers and tomatoes. Order it hot for a spicy take on this well-known meal. 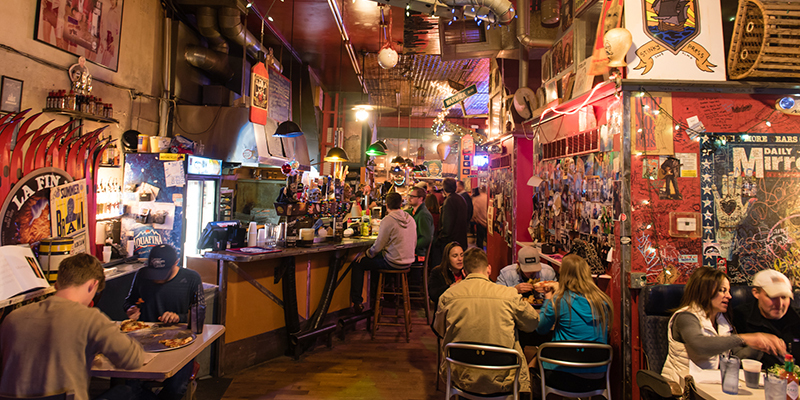 Mission Taco Joint is a hip, East Crossroads street taco restaurant that serves up a wide variety of bites. 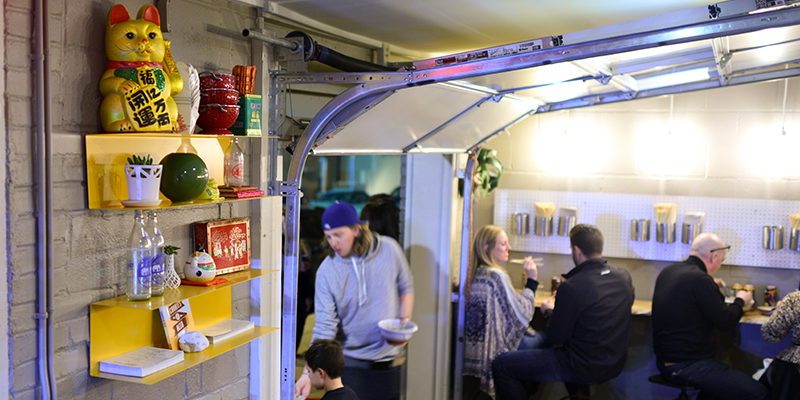 Those in search of heat will find the habanero chicken taco more than up to the task. Order two or three to really embrace the spice. 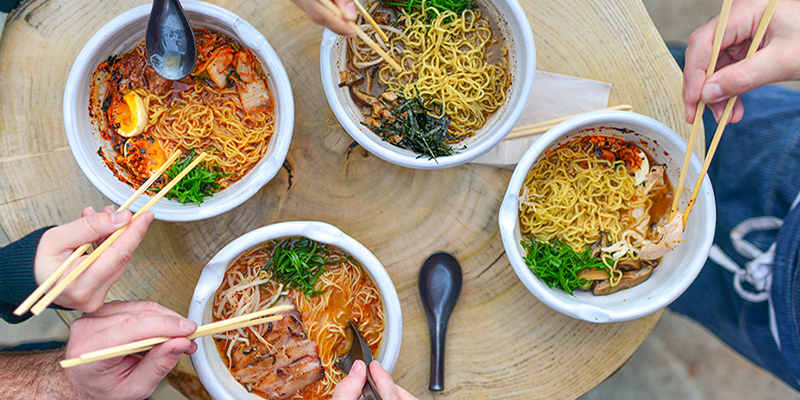 Sichuan peppercorn sauce and chili oil star in this Columbus Park Ramen Shop dish, which also features minced pork, sesame, thick noodles, gai lan and more, making it a formidably hot and delicious meal. Want to take it up a notch? 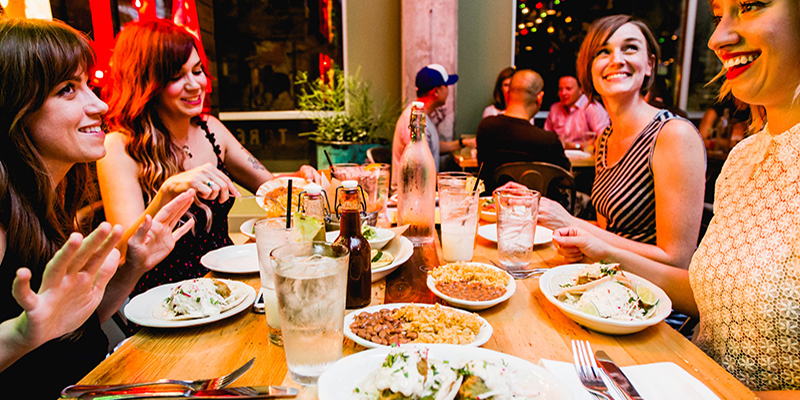 Add a house-made chili bomb for just $1. 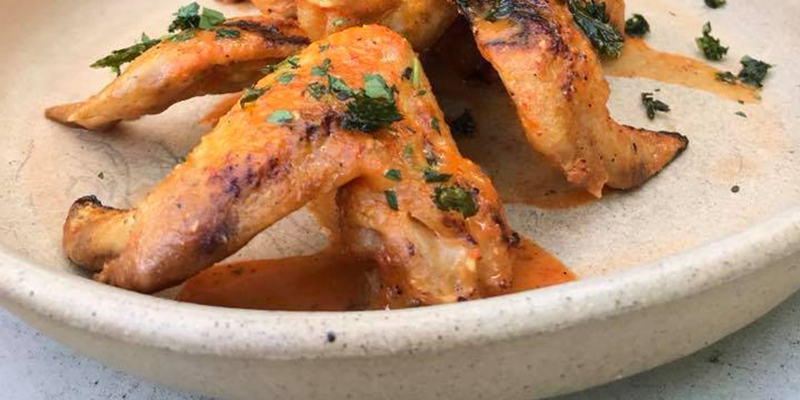 Currently open in a temporary space in the Westside neighborhood, the grilled wings at Fox and Pearl are soaked in fermented Fresno chili sauce and arrive five to an order. Add a Coors Banquet for a perfect pairing—and to cool off, if necessary.